The fantastic city of New York is built upon a series of islands that embrace five boroughs of New York: the Bronx, Brooklyn, Manhattan, Queens, and Staten Island. Each of these heavily populated districts can be subdivided into many distinct neighborhoods, each with their own unique qualities and styles. Put them all together and they form the largest city in the United States - a stimulating destination that attracts millions of visitors each year. If you exclude a few minor islands, the Bronx is the only one of the five boroughs actually on the mainland. Here you'll find such attractions as Little Italy, the Mott Haven Historical District, the Bronx Zoo, and the New York Botanical Garden. It's also considered to be the birthplace of hip hop, and special tours of the hip hop scene are available. Brooklyn is the most populated of the boroughs. It's where you'll find Prospect Park, the Brooklyn Museum, Yankee Stadium, and Coney Island (an early amusement park with a great beach and boardwalk - and the Cyclone, which some still claim to be the world's best wooden roller coaster). 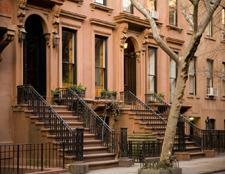 Manhattan is the business center of the city and the most truly urban area. It's the most densely populated area, and it's where you'll find the majority of New York's skyscrapers. Some of its many attractions are Wall Street, the New York Stock Exchange, Battery Park, Ellis Island, the Statue of Liberty, and Greenwich Village (in Lower Manhattan), the New York Sky Ride, Empire State Building, Central Park, Carnegie Hall, Lincoln Center for the Performing Arts, Rockefeller Center, Radio City Music Hall, Macy's, Madison Square Garden, and St. Patrick's Cathedral (in Midtown Manhattan), and the Cathedral of St. John the Divine, the Cloisters, Columbia University, Flushing Meadows Corona Park, Jewish Museum, Guggenheim Museum, and the Museum of the City of New York (in Upper Manhattan). Queens is the largest of the boroughs of New York, geographically, and its population is the most diverse (with more immigrants than anywhere else in the nation). It's the location of Shea Stadium (home to the New York Mets), Arthur Ashe Stadium (where the U.S. Open is held annually), the Queens Museum of Art, Noguchi Museum, Socrates Sculpture Park, and two of the city's three major airports (John F. Kennedy and LaGuardia). Staten Island is the quietest and most suburban of the five boroughs. It's located on the west side of the Narrows, at the entrance to New York Harbor, and it's connected to the borough of Brooklyn via the Verrazano Narrows Bridge. 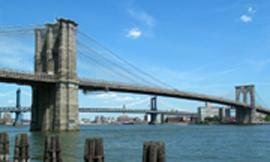 It has a very large Italian population and is therefore sometimes referred to as "Staten Italy". Here you'll find the Staten Island Zoo, Staten Island Botanical Garden, Staten Island Children's Museum, Staten Island Museum, and Historic Richmond Town. The city of New York is situated on the three main islands of Staten Island, Manhattan, and western Long Island, and it has a superb natural harbour that has led to its immense significance as a trading city. It's certainly one of the major cities for business and commerce in the entire world. Sometimes referred to as "The City That Never Sleeps", this vibrant destination has something to offer everyone.